This week, while I should have been attending to The To-Do List, I instead attended a diverse bunch of artsy gigs. It was pretty rad. I should be studying/working/poeting/editing, but I wanted to at least jot down some thoughts before I lose ’em. I’d never heard of Mr Rollins, nor his career with punk band Black Flag, before friends gifted me a ticket for my birthday. I decided to head in blind and find out what this spoken-word maestro has to offer on the fly. The Long March, at the Powerhouse, is basically three hours of Henry Rollins telling you things. It’s hard to describe it beyond that. What’s extraordinary is that you emerge from the theatre feeling as though you’ve had a rousing, albeit too brief, conversation with a learned friend. How Rollins does it without taking a sip of water is amazing; he talks hard and fast, never missing a beat. His discourse is highly structured — he takes tangents, sure, but always returns you safely to the story. Rollins has an astounding knack for being informative without being condescending. His call to arms, after decades of travelling to the world’s darkest and scariest bits, is ultimately simple: be curious, be critical, ask rather than assume, and — if you must assume — assume the best first. Rather than trying to recount the theme or content of three hours’ worth of Henry Rollins, I suggest you just go see him next time he’s in town. Zen Zen Zo, which I consider to be Queensland’s most exciting established theatre company, has new artistic directors: Michael Futcher and Helen Howard. Their first production is Vikram and the Vampire, a woven nest of stories within stories. Back in the ’90s, a reviewer with Brisbane News called it “theatrical alchemy” — and it really is. ZZZ’s troupe of actors is like fog, shifting and transforming to seamlessly play everything from princes to birds to plants. In interviews, Bryan Probets and Lizzie Ballinger have both said that Futcher encourages collaboration — this comes through clearly. It’s no one person’s production. Sandro Collarelli is great as greedy King Vikram, and Ballinger quickly warms up to become the perfect wily vampire, Vital. I liked the way story-telling Vital, when nagged by Vikram, would say, “Shush, I haven’t come up with a moral yet!” Probets, always fun to watch, does a brilliant job of playing a bitter, misogynistic parrot. The band, in particular, is spectacular. It’s a production that will continue to improve as the season goes on. Vikram and the Vampire runs at The Old Museum until May 19. In the late ’90s, a Bic Runga CD came into my possession; this may have marked my graduation from So Fresh and Top of the Pops to actual music. I’ve been waiting to see Bic in concert since. It’s been a long wait; she hasn’t toured in six years. On stage at the Powerhouse, she is school-boyish with her hands in the pockets of her little black shorts, while her mannerisms while singing have something Bowie-ish about them. 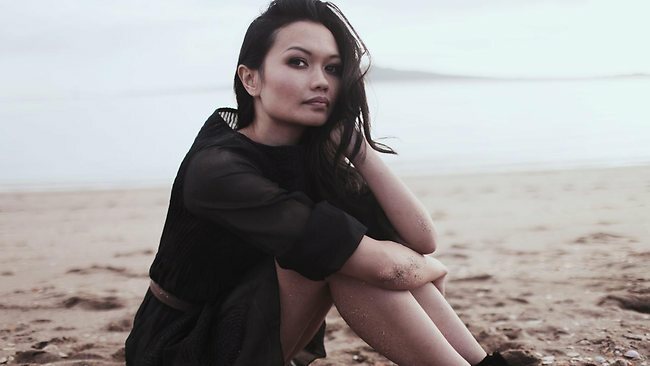 On Runga — the Kiwi pop songstress — it’s adorable. After nearly a decade off the road and out of the studio, it’s taking Runga a while to warm up. Her voice is as lovely as ever, but this show itself could do with a little polish: the band seems underrehearsed, and technical difficulties (like clunky guitar-swapping) prevent smooth transitions between songs. Her new material is fun, and there’s a good mix of old and new. I picked up the latest album, Belle, on the way out. It’s a cheerful, singalong collection of ’60s-inspired love songs. At less than 30 minutes in length, it could do with more meat on its bones, and perhaps a little breathing space. I’ve been singing them all in the shower anyway. It’s good to hear from Runga, and I guess taking her in the shower will contribute to warming her music up again. P.S. To the person who googled “every little thing seems overwhelming” and somehow wound up at this blog, I hear ya — and send hugs.